Playsport is the company that’s best known for the Motorsport Manager series, and we’ve seen three mobile versions of this auto racing management game hit the Apple App Store thus far. 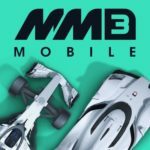 And yes, you read that right — Motorsport Manager Mobile 3 is now out, and just as usual, you’ll have a chance to hire fictional drivers — unfortunately, real F1 teams and drivers aren’t included here — as you run your own motorsport team, also hiring engineers and upgrading your headquarters as you go along, hoping to move up from one championship to the next. Random events are par for the course in this game, may it be inclement weather on the track or unusual situations that may make your drivers happier or unhappier and affect their performance accordingly. There are also tons of new features in this new game, including the addition of mechanics to your team staff, new racing modes, new currency, and more! If you’ve played Motorsport Manager Mobile in the past, a lot of the tips in this guide may seem like a refresher. 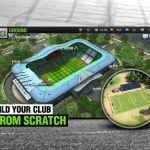 But Playsport has made sure to include a wealth of new features, as we had explained above, and we’ve featured quite a few of them in this Motorsport Manager Mobile 3 strategy guide. We’ll be focusing on the fundamentals of the game in this guide nonetheless, but regardless if you’re a franchise veteran or newcomer, we’ve got everything you need to refresh yourself on the classic features and learn a bit more about the new ones! Comparing this title to its predecessor, a lot hasn’t changed in Motorsport Manager Mobile 3. Just like you did in the previous game, you’ll start out by entering your information as Team Principal. This time around, however, you’ll have to fill in some other details that weren’t there before, such as your age and your appearance — that’s mostly there for customization. What matters is your backstory, which, contrary to what the term implies, is actually a brief explanation of what you used to do before taking over. This will influence the benefits your team can take advantage of going forward — if you’re an ex-engineer, you’ll benefit from 10 percent reliability for each part built, if you’re an ex-driver, the drivers you hire will improve faster, and if you came from a financial background, you can enjoy a 5 percent discount on all your purchases. Once you’ve filled in all your details as Team Principal, you will then choose between open wheel racing, GT racing, and Endurance racing — this is a new feature for MM Mobile3, as the game now features two types of racing instead of the usual open wheel, or formula racing setup. Just as it did in the past, there are different tiers, or divisions with different rules, and you will again be working your way from the bottom-most tier to the very top, regardless of which type of racing you’re opting for. For example, some divisions may not include any refueling during races, while others will, and the number of races per season may vary. After choosing a type of racing, the game will ask you whether you want to activate tutorials or not. 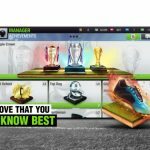 We strongly recommend the tutorials regardless if you’re new to the Motorsport Manager franchise or not, as they’ll come in handy when it comes to the new features. Of course, we’ll also be examining these new features in greater detail (as well as the old ones), so feel free to keep on reading as we talk you through, starting with this guide! One of the first things you’ll do in this game is manufacture parts for your cars — this will be overseen, as usual, by your team of engineers. Each engineer is rated based on their Performance, Reliability, and Race Day Performance, with the first stat referring to how much their skills influence the raw performance (of course) of the created part, the second referring to how well those parts hold up in races, and the third providing a performance boost in races, once combined with the corresponding stats of the other engineers. All of these are on a scale of 1 to 20, with higher stats, of course, meaning better ones! The Team Leader Stats can be found underneath the basic stats, and since you will only be able to unlock Team Leaders for part development once you’ve completed the Design Center headquarters upgrade, we’ll be saving this for a subsequent guide. But don’t mistake this as being unimportant, because your choice of Team Leader will matter in the end! Now that we’ve covered all there is to know about Engineers, let’s talk about the part building proper in Motorsport Manager Mobile 3, and discuss why we had to talk about engineers so early on in this guide. When building parts, you should definitely be looking at an engineer’s stats as you decide whether to focus on them for Performance or Reliability. As a rule of thumb, you want to choose the bigger number (someone with 11 Performance and 4 Reliability should definitely work on improving a part’s Performance), though you shouldn’t forsake a part’s performance for its reliability, or vice versa — it’s all about finding the right balance as you choose Performance or Reliability for all three engineers, and optimize things once you’ve done so for everyone. Once you’re done building the part, you’ll then have to choose which driver you want to assign the part to. Usually, your focus should be on your No. 1 driver and not the No. 2, though your choice will also depend on how much better a part is than the existing one currently equipped on your drivers’ cars — for example, if a new part doesn’t improve on your No. 1 driver’s existing part but does so for your No. 2’s, then you should assign it to the No. 2 driver’s car. You’ll also want to prioritize those drivers who are requesting new parts (thus making them unhappy via the game’s random events — more on them soon! ), but more often than not, your new part should go to your top driver. As a bonus tip, don’t worry if the reliability of the first part you created via tutorial is much worse than the reliability of your two drivers’ existing parts on their cars. The performance stat should be much higher (try close to three times higher), so that should make up for the drop-off in reliability. 4. To Hire A New Driver Or Not? In Motorsport Manager Mobile 2, it was easy to hire new drivers to replace the rather mediocre second driver you got at the start of each game. Based on what we’ve observed so far in Motorsport Manager Mobile 3, the pool of available drivers appears to be similarly as large, though it might not look like that at first, as the drivers list always defaults to Recommended. By tapping on the Interested tab, you’ll see all the drivers, regardless of championship they’re competing in, and that means you will again have the option to pirate another team’s driver. The catch here is that this is usually more expensive, as you’ll have to pay up in order to beat what the other team is paying the driver and give them a good reason to take their talents to your team. Personally, we believe it’s fine if you stick to the Recommended tab, as the game will usually suggest drivers who are still in their teens and have four- or five-star potential. Your No. 2 driver will typically have low potential (apart from their lower-level stats) — this is a bit strange, as the No. 2 is usually a young kid, as opposed to Motorsport Manager Mobile 2, where your first No. 2 driver was usually in their mid-30s and nearing retirement. Regardless, it wouldn’t hurt if you get a high-potential young driver whom you could eventually promote to No. 1 once your current top driver begins to age! The ability to choose sponsors for your team is yet another mainstay feature returning in Motorsport Manager Mobile 3, and your choice of sponsors will influence a variety of things in the game. In relation to this, you’ll also need to consider different factors, including a sponsor’s quality, which will contribute to your overall Sponsor Appeal, and therefore your ability to attract top-flight, high-paying sponsors going forward. Sponsors will also give out upfront payments that immediately go toward your team’s balance, or per-race payments, which are dependent on how well your drivers perform in qualifying and in actual races. For example, a low-quality sponsor may only require a qualifying and finishing position of 18th or better, with a per-race payment of $100,000, while a higher-quality one will pay about $500,000 per race, but require you to finish in the top three or better. This required finish applies to any one, or both of your drivers, so you need not worry if your sponsor requires a top three finish and you’ve got a 10th-place No. 2 driver finishing several places behind your No. 1, who won the race. It’s also worth noting that each sponsor will only be active for a specific number of races before you need to go back to the Sponsors screen and find a new company to work with. Typically, longer deals are better, especially if they pay big money, but you wouldn’t want to choose an upfront payment and a long contract that wouldn’t be worth it at the end of the day. There is one new thing to take into consideration when talking about sponsors, and that’s the Influence Gained area near the bottom of each sponsor’s window, between Sponsor Quality and the Select Sponsor option. We’ll be tackling Influence in a separate tip, but since influence can be considered a premium form of currency, you will want to take that into account when choosing a new sponsor for your team. Personally, we prefer the Motorsport Manager Mobile 2 UI layout for the Headquarters, but the mechanics are very, very similar on Motorsport Manager Mobile 3, as you still have three upgrade trees or paths to follow here — Part Development (blue), Financial (green, of course), and Drivers (purple). Each of these paths is important in their own way, so it will not be in your best interests to ignore one of them completely. But there are certain areas where you will need to focus on ahead of the others when you’re just starting out. Given that the Drivers upgrades are mostly centered on how quickly your drivers improve, and how you might not have much of a problem doing well in the races at first, this will usually be the least urgent path you need to focus on. What you want to focus on mainly is Part Development, as upgrading specific areas will allow you to manufacture new parts that weren’t available previously; creating the Ride Handling Centre will unlock Suspension Development, and once you’re done with that, you can then move on to the Crash Testing facility, which automatically gives your cars a 10 percent Car Reliability boost. Financial would make for a good secondary focuses, as your first upgrade in that path, Public Relations Team, gives you an additional one point of Sponsor Appeal. After that, the next upgrade on the Financial path is Hospitality Tents, which unlocks that all-important sixth Sponsor Slot. In previous editions of Motorsport Manager Mobile, you only had your Engineers as part of your team staff. That’s changed in Motorsport Manager Mobile 3, which introduces Mechanics (people who work on your car, that is, and not features or key elements of a game) who will come into play when you’re qualifying and taking part in the actual races; each driver has a specific mechanic who works on their car. When setting up your car for qualifying, you will first be asked to choose whether you wish to simulate the qualifying stage or take part in it. We’re not fans of leaving these things up to chance, so we recommend actually participating in qualifying — don’t worry, that’s why we’ve got a guide like this, as we’re going to be teaching you how to make the most out of your Mechanics in qualifying! After tapping on Send Out for a given driver, you’ll see details on the driver you’re sending out, as well as their mechanic. The first thing you should look at is their Skill Level, then at the cards above, which indicate car setup bonuses and the Skill Cost involved. Car setup bonuses represent the percentage of time that could be shaved off if the card is played, while Skill Cost refers to the range of Mechanic Skill Points that will be used up when you play the card — for example, the Reduce Wing Angles card has a bonus of 26 percent and a Skill Cost of 2-17 — that means you will save 26 percent of a second on your qualifying time if the card is played successfully, while spending anywhere between 2 to 17 Skill Points for that bonus. You can keep playing cards until your mechanic has no more Skill Points to spend. What happens if you go over the mechanic’s total Skill Points? Think about it like going over 21 in blackjack and getting busted — you lose all the bonuses you had earned by playing the previous cards! In most cases, it won’t be the end of the world, but it’s not uncommon for a difference of less than a second to separate someone in the first few rows from someone who’s essentially a “back-marker” rounding out the field. When it comes to tires, the old rule of thumb still applies — choose the softest possible tires for standard qualifying runs when the track is dry, choose rain tires if the track is wet. Most qualifying sessions will allow you to do two to three runs per driver, and we suggest taking advantage of this — you may have finished in the top three in your first run, but if you choose to rest on your laurels and not try to beat your initial time, you could easily fall behind in the field, which could make it harder for you to pull off the podium finish, much less the win! We’re going to delve a little deeper into this in subsequent guides, but the key to winning your first few races is to pit smartly. Take note of the number of laps a race has, and choose your tires accordingly — don’t play it too conservatively by choosing harder tires that could reduce your number of pitstops but compromise your lap times. What you want to do here is to choose the right balance of softness and durability. Let’s assume fuel is not an issue due to refueling not being allowed, and take the example of a 19-lap race, where Soft tires are rated as capable of going 7 to 9 laps (this figure could vary slightly depending on the race/championship), and Super Softs at 5 to 6 laps. Don’t go with Super Softs on a three-pitstop strategy; you can go for the Soft tires instead and confidently make just two pitstops for the entire race. Pitstops take time, after all, and having an impractical pit strategy could be the difference between a win and a mere finish in the points!